In the wake of Prime Minister Benjamin Netanyahu’s reelection win this week, one takeaway remains indisputable: Israel’s politics continues to grow shadier, and there seems little to stem it. Arnon Milchan, the titan of the Hollywood industry who has executive produced some of the best of American films from “Birdman” to “L.A. Confidential,” has also long been a part of Israel’s clandestine security apparatus. And for the past few years, Milchan has been linked to Netanyahu – who is now basking in his reelection victory on Tuesday. Unfortunately, Milchan’s relationship to the prime minister is downright embarrassing for those who long believed Israel’s messy democracy is one to be envied. It is, in reality, heavily fraught, and prone to some of the most corrupt scandals in the world. Israel should not solely be a rule of laws, but also serve as a moral beacon; it’s long been that way. 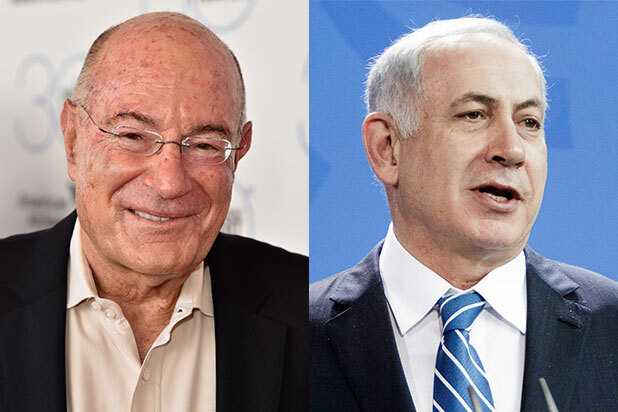 While Milchan himself won’t be charged, Netanyahu has been indicted on charges of bribery, fraud and breach of trust in three different cases, including the one involving Milchan, which is known in Israel both as Case 1000 and the Illegal Gifts Affair. “For years, (Milchan) had given bribes in the million to people in power, agents and state officials in order to advance Israel’s interests,” wrote Meir Doron, co-author of Confidential: The Life of Secret Agent Turned Hollywood Tycoon – Arnon Milchan. It was reported that he secretly worked for Israel’s intelligence service where he acquired technology and weapons. A moderate at the time, he drew closer and closer to Netanyahu personally in the past decade, which led to an unpopular measure that came to aptly called the Milchan Law, giving tax benefits to rich Israelis like Milchan who return home. In regard to this scandal, Netanyahu insisted the products received were merely gifts from Milchan, dismissing the investigation as a “witch hunt.” This illustrates that Israel, while always a loud and obnoxious democracy, is shifting toward being an amoral one that flouts norms, such as egregious money laundering schemes. For these dubious charges to be glossed over because of its national defense concerns are hardly reconcilable. Netanyahu’s scandals are indeed real, which is why the right wing bloc did not win in progressive cities like Tel Aviv, Haifa, Ra’nana, or Rehovot where its citizens undoubtedly feel repulsed by him. They believe him to be a politically shrewd but corrosively cynical politician prone to money laundering, and even worse. A two-year police investigation is hardly a witch hunt, and its gnarly crumbs remain a blight on Israeli society. After all, even Milchan’s story changed as the investigation intensified, providing investigators with testimony that the gifts given were put forth by demands made by the Netanyahus. Perhaps the relative calm in recent years has opened this chasm, but it still does not make it right. If this gulf of moral judgement widens even further, Israel will never be that “light onto the nations,” like it once was; just another flawed democracy routinely marked by scandal, which will make criticism hurled at it even harder to defend by even its most ardent supporters.